“Where else but the altar could we find some resolution? People bring their wounded and shattered selves here for healing, mending and transcendence,” he said. 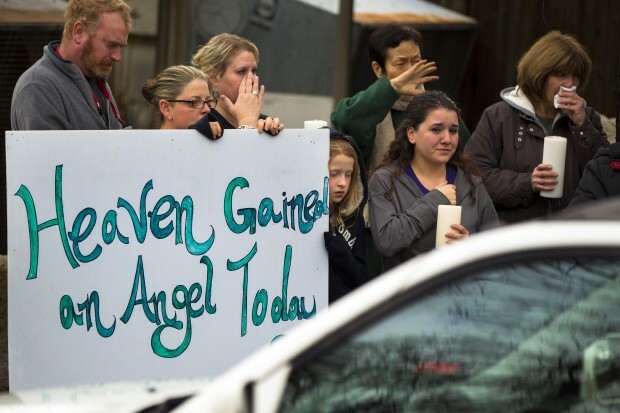 In a telephone interview with Catholic News Service, Brian D. Wallace, director of communications for the Diocese of Bridgeport, Conn., described the Dec. 18 funeral Masses celebrated for 6-year-olds James Mattioli and Jessica Rekos, two of the 20 children killed in the Sandy Hook Elementary School tragedy. At the request of the families, the liturgies were closed to the media. Msgr. Weiss said the children were a gift from the start and even though the mourners are broken by their deaths, the children left them their joy, their wonder and their zest for life. He said parents who are crushed that they were unable to protect their children and uncertain if they could parent effectively in the future should remember all the things they did with their children. “Don’t regret a minute of it. Don’t be afraid to move forward,” Msgr. Weiss said. The pastor told the parents they had a right to be angry and, unlikely as it seemed, they would be able to let go of the anger with time. He cautioned them not to become bitter. He said the tragic events “changed us as a people, a parish and a nation.” Without offering specifics, he challenged mourners to make the change complete by going home and doing something to safeguard life. Msgr. Weiss delivered the homilies at both funeral Masses. He concelebrated with nine other priests, including current and former staff at St. Rose. Connecticut Gov. Dannel P. Molloy attended both funerals. 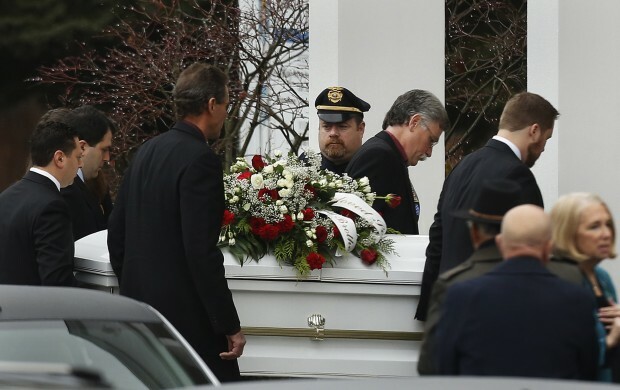 Wallace said the church was filled to its 750-person capacity for each of the funerals and the mothers of both youngsters gave moving eulogies about their children. “People were moved by the remarkable strength of the mothers to grit their teeth and get through it,” Wallace told CNS. “They came in sobbing, but they pulled together.” During the eulogies, Krista Rekos was accompanied by her husband, Richard. Mark Mattioli stood with his wife, Cindy, as she spoke. Wallace said the eulogies and Msgr. Weiss’s homilies drew laughter that helped people get through the sadness. “The mothers knew their children well and had an appreciation for their foibles,” he said. “I was struck by how blessed the children were to be with those parents. There was a vivid sense of the love and wonder the children brought them. Every family listening could relate and it took your breath away,” Wallace said. Msgr. Weiss is “the face of the Catholic Church at a time we need healing,” Wallace added. “It’s very clear the people have respect and affection for him, although he doesn’t court it.” He said mourners gave Msgr. Weiss a standing ovation at the conclusion of the Mattioli funeral. Msgr. Weiss was scheduled to celebrate funeral Masses at St. Rose for six other students before the end of the week.